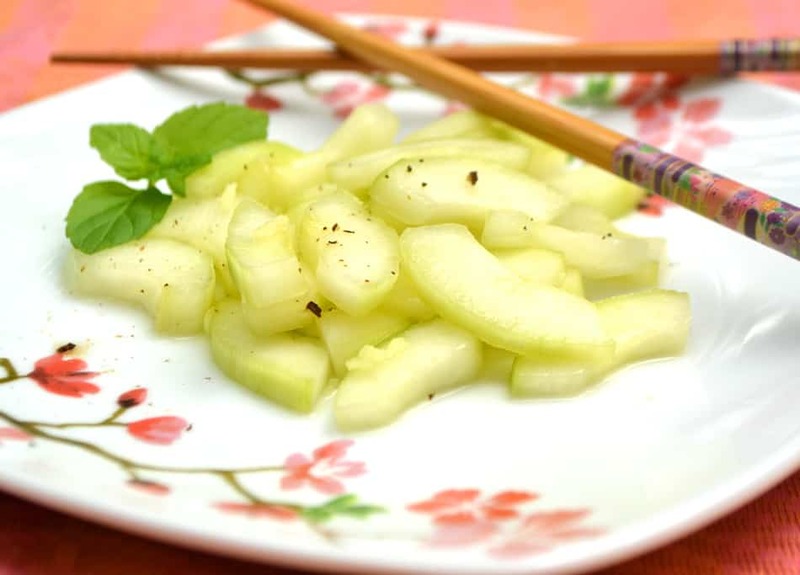 A bright, cool & crisp Ginger Cucumber Salad. Fresh & simple eats for laid back summer days. I love cucumbers. They’re easily my favorite vegetable. I love them plain, with a a sprinkle of salt or in endless variations as the star ingredient in salads. I just realized I have NO cucumber recipes on this blog yet. Gasp! How on earth could that be? I guess the simple, everyday things we make get taken for granted. Cucumbers are one of the cheapest veggies when they’re in season and I certainly get them in while the gettin’ is good. This cucumber salad. Beyond simple to make. So crisp, so refreshing, such a lovely bite to eat on a summer day. You’ll notice that I seed the cucumbers. This always seems to be cause for conversation. Here’s how I decide when the seeds are going to stay and when they’ve got to go. If I’m slicing cucumbers as a snack, or there going into a garden salad or any salad where they’ll be eaten within a few hours, the seeds usually stay. If they’re getting mixed with any creams (think sour cream, Greek yogurt), going into a dip or will be sitting for more than a few hours, the seeds go. There’s a whole lot of watery mess waiting to seep from those seeds. I often half this recipe and eat it for a quick lunch. Seeds certainly stay in that scenario. Ginger can be tricky to grate. I love the flavor of it but I don’t like big bites and strings of it in my salads. I’ve found the simplest method for mincing ginger is to put it thru my garlic press. If you plan ahead, you could also freeze the ginger and grate it on a microplane. When serving this salad, I realized how plain in appearance it really is. Most of my other cucumber salads are served with tomatoes, cheeses, peppers, herbs and other bright fruits and veggies. Don’t be fooled by this salads simplicity, though. While it’s appearance may lack in brightness, the taste most certainly does not. Summer eating is best when it’s light, fresh, flavorful & laid back. 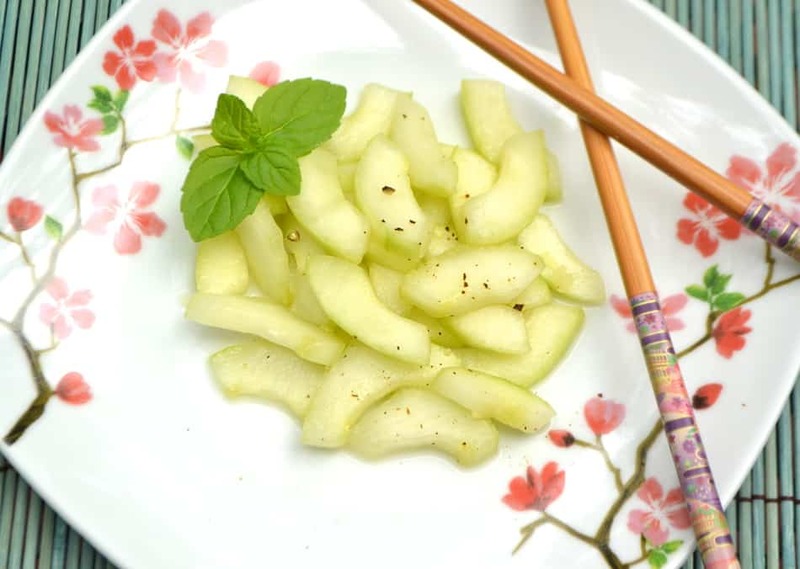 This Ginger Cucumber Salad certainly fits the bill! Hope everyone is enjoying this gorgeous summer weather! Thanks for stopping by! 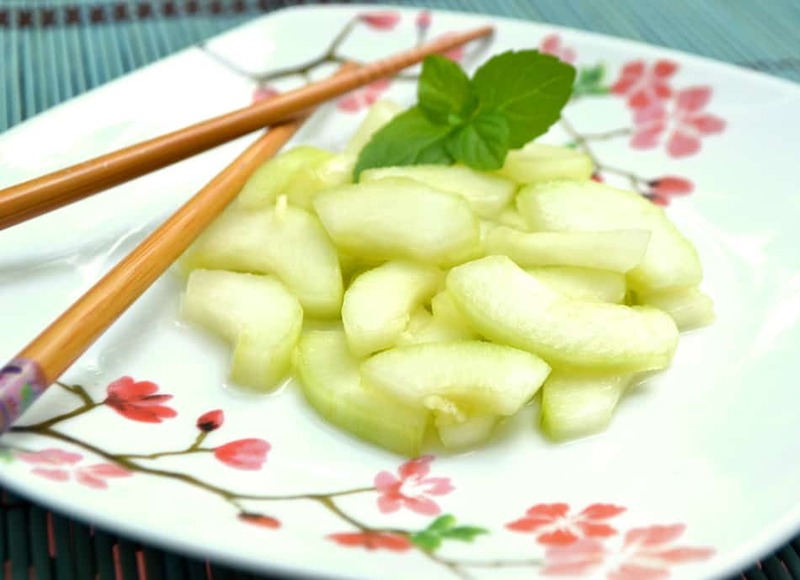 A bright, cool & crisp Japanese Ginger Cucumber Salad. Fresh & simple eats for laid back summer days. Slice cucumbers into a mixing bowl. Toss with white wine vinegar, sugar, ginger & salt. Salad is best after chilled for a few hours but can be eaten immediately. *Note* If you'd like, you can use an extra 1/4 teaspoon salt, mix with cucumbers and allow to drain for about half an hour in a colander over a bowl. 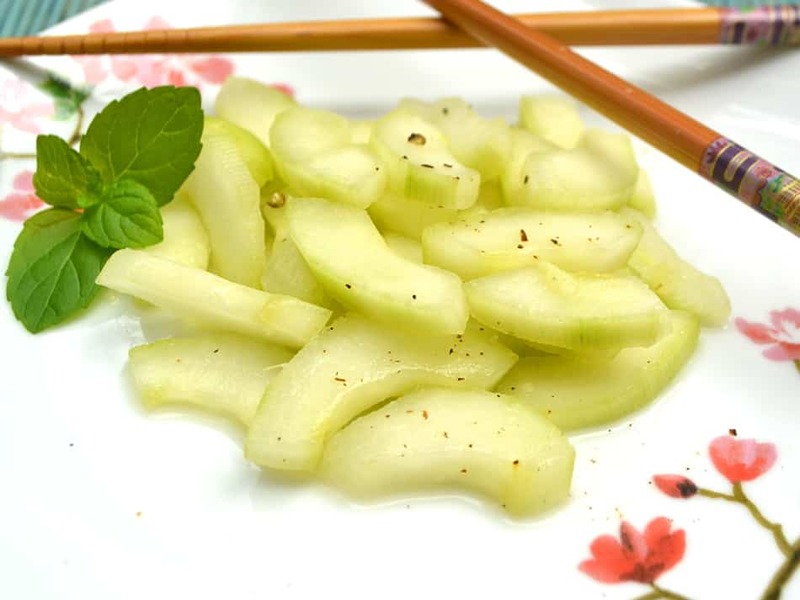 Occasionally toss cucumbers around and press with a spatula or spoon to force out excess liquid. Sometimes the simplest things are often the best! Really lets the star ingredient shine. Cucumber is not my #1 favourite veggie, but I do really enjoy it and I think I would LOVE it in this salad with the ginger. Great tip about the seeds, too 🙂 Such a guilt free lunch!! I’d even eat this as an afternoon snack! 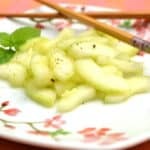 Me and my daughter are BIG fans of cucumber and this Ginger cucumber salad looks and sounds awesome. I will sure give it a good. Love how simple yet super intriguing this salad is! So much yes to this bright, cool & crisp salad! Wish you a fun weekend with your family. I love fresh, crisp cucumbers. Simplicity is best…this simple and easy cucumber salad is a perfect summer side! I love the pairing with ginger! I had a simple poor man’s dinner last week that cost me just about $1 to make, but it really hit the spot, and I wouldn’t have traded it in for a $30 restaurant meal. We love cucumber and I just can’t wait to try this salad out. Thank you for sharing such a delicious recipe! Cucumber salad is so underrated – I’m a big fan and I love making a really vinegar-y kind to bring to potlucks and BBQs during the summer. What kind of cucumber do you use? I find that English cucumbers are usually a lot less seedy. I’m also wondering if cucumbers that are allowed to grow too large have extra large seeds inside of them. I know this is true about zucchini and that’s why they have to be picked before they’re too big. Rant over, lol. This simple recipe with ginger added in sounds really easy and refreshing!!! Yum! Cucumbers are some of my favorites as well! This salad sounds so good!! I used to get so frustrated trying to mince ginger until I started just keeping it in the freezer! Great tip! Thanks so much Alaina! 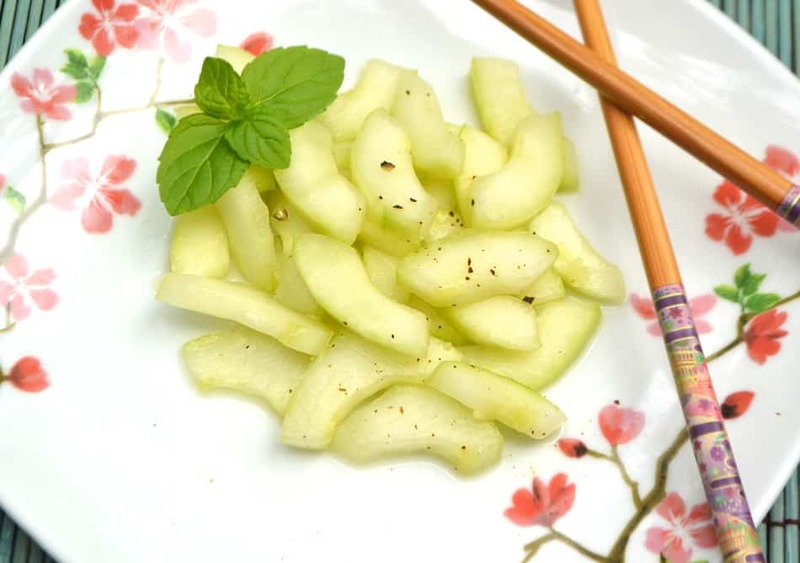 I love all things cucumbers – one of my favorite summertime foods 🙂 Freezing ginger really is a game changer – it’s horrible to mince any other way. Thanks for stopping by! Made this last night, but had to run out. Looking forward to having some when I got home. Told hubby what and where it was in the fridge. Came home to find he had eaten it all!! Guess I have to make it again…and hide it! Hehehehe…glad your hubby enjoyed it! Thanks so much for stopping by Janet!